Coal is the top damaging energy source. Pollutants emitted from tall stacks will poison air, water and soil, damaging not only the priceless wildlife and historical monuments, but health and lives of local citizens. The Północ power plant (Elektrownia Północ) puts an end to the dream of clean, safe and sustainable Pomerania. While only a small group of businessmen and members of local government will enjoy the profits, everybody will pay the high price of the Północ power plant. The largest Polish river and a beloved cultural and historical symbol for the people, Vistula is often called the Queen of Polish rivers. Once heavily polluted, it has been restored to its natural glory by generations of dedicated Poles. Today Vistula is an ecosystem bristling with life and home to one of the most precious fish species – the Atlantic salmon. Vistula is also one of the last large European rivers which maintained their natural character, a precious habitat for many rare and endangered species. It forms an important wildlife corridor for migratory fish species such as the Atlantic salmon, the Brown trout, the Atlantic sturgeon, the European eel, the Twait shad and the European lamprey. Each year flocks of migratory birds such as cranes, geese and ducks find refuge in the lower Vistula valley – an essential stop in their long and perilous journeys. In order to protect its exceptional biodiversity of species and habitats, two Natura 2000 sites were designated in the lower reaches of Vistula, both of them being in danger of adverse negative impacts of Elektrownia Północ. Dolina Dolnej Wisły (Lower Vistula Valley, PLB040003) is a bird protection area of international import. 28 species of rare birds listed in Annex I to the Birds Directive nest here, including the marsh harrier, the white-tailed eagle, the common tern and the little tern (10% of the Polish population!). 9 species of birds native to this area have been listed in the Polish Red Book of Endangered Species. 1% of Poland’s population of the common goldeneye winters here. Golden plovers, Eurasian curlews and cranes are among thousands of birds that visit the meadows along Vistula in their annual migrations. The area is located 5,9 km from Elektrownia Północ planned location, water intake and water waste discharge would be located within the area. Dolna Wisła (Lower Vistula, PLH220033) is an area designated to protect precious habitats and species other than birds. It protects 9 habitats listed in Annex I to the Habitats Directive and 15 animal species from Annex II including fish: the asp viper, the amur bitterling, the sabrefish, the Atlantic salmon, the Atlantic sturgeon, several species of bats and other mammals (wolf, otter), the European fire-bellied toad and a rare insect Tachysphex fulvitarsus. The area is also crucial for protection of local landscape and cultural heritage. The area is located 4,1 km east of Elektrownia Północ planned location, water intake and water waste discharge would be located within the area. The EIA Report for Elektrownia Północ fails to address crucial issues such as the power plant’s impact on water conditions in the area. No field nor laboratory research were carried out. The Report also consists of several manifest errors and ignores threats pointed out by hydrologists as well as cumulative impacts with other facilities and extreme weather caused by climate change. Transborder impact on the Baltic Sea was also ignored. The chemical pollution transported into the river with cooling waters from the power plant will pose the main threat to the ichthyofauna of the lower Vistula river. Among the chemicals are high loads of boron, heavy metals, salts (sulphates and chlorides) and biocides. According to experts the waste water discharge from the power plant will not comply with legally binding requirements and pollution limits for dangerous heavy metals. In the EIA reports multiple exceeding of the permissible concentration of boron was anticipated. Boron can react with other elements, forming chemical compounds that are toxic even in low concentrations. Similar impact is anticipated for fluorine. 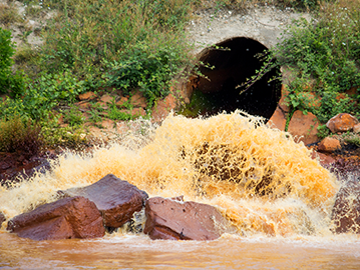 Heavy metals accumulate in sediments and living organisms. They reach highest concentrations in the organisms at the highest trophic levels, especially in fish, mainly carnivorous. As a consequence of fish consumption the toxins may impact human health. In the EIA Report it was estimated that between several dozens and several hundred kilograms of particular heavy metals will be transported into the Vistula river annually. The concentrations of sulphates and chlorides, cadmium and boron will exceed the limits established by the Polish law. Among the negative impacts of this chemical compounds are: increase in fish morbidity and mortality, impact on their food base, changes in their environment (sedimentation, negative impact on water vegetation which forms the spawning substrate), disturbance of fish migration and impeding their locomotor abilities. Waste water from the power plant will contain biocides - chemical substances used to sterilize the power plant’s cooling system, classified as highly toxic to the environment. Even in low concentrations, biocides may be lethal to invertebrates and fish, especially fry, and have negative impact on fish reproduction. After mixing with river waters, the concentration of biocides will still be oscillating close to their toxic level to fish for which it may be mutagenic and cause DNA degradation. Taking into account the fact that the migratory fish occur in the Vistula river in a very sensitive physiological period of life cycle related to reproduction, the biocides will be especially dangerous for the population due to the risk of mutations in offspring. Due to the mutagenic and carcinogenic effects of this toxins, their accumulation in fish tissues may pose a threat to consumers who eat animal products from the polluted region. Rising water temperature in the Vistula river is a consequence of the discharge of cooling water from the Północ Power Plant which will have a significant negative impact on the entire lower Vistula river ecosystem. The increase in water temperature by 1-2 °C, as given in the EIA Report, may have a significant negative impact on the most sensitive migratory fish species (salmon, trout, sturgeon, lamprey) with low thresholds of tolerated temperatures. In the decisions of the Regional Directorate for Environmental Protection the maximum difference of water temperature between the Vistula river and the cooling waters discharged from the power plant was defined as 2°C, and the maximum temperature to which the water in the river could be heated in the outlet area was defined as 26,5°C. Having accepted such high thresholds was against the Polish law concerning inland waters which are habitats of the salmonid fish species. The maximum allowed temperature is 21,5 °C, which is also the upper threshold of heat tolerance of the Salmonids. The temperature of the water in the river after cooling water discharge, envisaged by the investor as 26-27 °C, is lethal for these species. After legal intervention of the coalition Stop Elektrowni Północ, Poland’s General Director of Environmental Protection (GDOS) ruled that an investment in the construction of the Północ power plant would jeopardize survival of fish species found in the lower reaches of the Vistula river. The General Director agreed with environmental and nature protection NGOs and affirmed partial invalidity of the plant’s environmental impact assessment permit. In its justification GDOS indicated that the permit for waste discharge, which can change the water temperature by over 1,5°C, was launched without any legal basis. This means that the developer of the project will not be allowed to cause water temperature to raise above the limit set in the Regulation of Minister for Environment. It is however unknown whether the investor has a technology that would make it possible to avoid such an impact. Due to the fact that the lower Vistula river forms an important corridor for migratory fish, even smallest increase in water temperature resulting from waste water discharge may significantly affect the behaviour of migratory species. This may stop the migration, disturb normal development of fish and cause increase in their mortality. Crossing the upper threshold of heat tolerance may create a migratory barrier and prevent fish from completing spawning which, in turn, will cause a population decline. Such dangers are no scientific theory. In winter 2016 masses of dead fish were found in the section of Vistula were sewage waters are discharged from two Polish power plants – Kozienice and Połaniec. The situation occurred during the period of law water level. Though sewage water temperature did not even exceed the allowed level, the conditions turned out to be deadly – the fish were most probably killed by a thermal shock. Experts assessed that the Północ power plant could kill 1,5-2 million fish (approx. 2 tons) of 45 species, including rare and endangered, annually. The smallest fish and fry will be sucked into the facility’s cooling system where it will die, minced and boiled. Larger fish may be trapped on the filters, unable to combat the suction power they will eventually die. Killing fish by the power plants’ cooling systems has been thoroughly researched and described for many facilities and may result catastrophic for entire river ecosystem. One of British power plants is known for killing 56 million fish annually. It has been estimated that only the filter grates in the USA would kill from 100 000 to 200 million fish per power plant (not including the fish sucked into the cooling system) which have already caused collapse of many river ecosystems. Land drainage for the construction of the Północ power plant will create a depression cone which will be later filled with water mixed with chemical substances from different levels of soil. Such water might turn out to be unfit for human consumption and agriculture. The local wells might also be impacted. Hydrologists also warn that local wetlands and river Drybok might dry up. The compounds of heavy metals are highly toxic and do not decompose. Due to the fact that they will be transported into the Baltic Sea, such impact should be acknowledged as transboundary, which was not stated in the EIA reports. Similarly, biocides could also be transported to the sea, and the products of their decomposition are even more toxic than biocides themselves. The thermal pollution of the river will heavily impact sensitive migratory fish – it may cause their increased mortality or stop their migration and thus put in danger the whole population native to the Baltic Sea. The project owner claims that being a modern facility, the Północ Power Plant will not harm the environment. It turns out, however, that only the flue gas desulphurization installation is going to produce 5 times more lead, 8 times more cadmium and 3 times more mercury than it could be emitted if Best Available Technique (BAT) standards were met. These BAT standards are met by power plants built as early as in 1998-99. 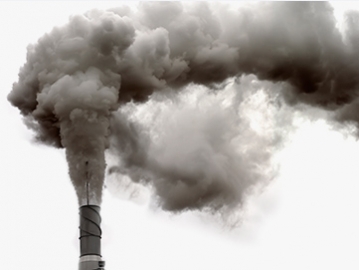 Coal power plants remain the main industrial cause of air pollution. Contaminants emitted by coal power plants into air are much more dangerous than water and soil pollution. Air pollution is deadly yet invisible, which is why experts on respiratory diseases call it ‘the silent killer’. It has been scientifically proven that it increases the risk of cancer, pulmonary and heart diseases. According to the Health and Environment Alliance’s Report ‘Unpaid Health Bill – How coal power plants make us sick’, each year air pollution in Poland which stems from coal combustion in power plants causes 3500 premature deaths, 1600 cases of chronic bronchitis and results in 800 000 lost workdays. The report quantifies the annual public health costs of polluted air up to 8,2 billion Euro. It is more than Poland spends on culture, science and national defence altogether. According to the latest WHO report, 33 out of 50 most polluted cities are located in Poland. Breathing polluted air increases risk of serious pulmonary diseases such as chronic bronchitis, emphysema and asthma. It worsens the symptoms and accelerates development of chronic obstructive pulmonary disease and is connected with lung cancer. It also increases the risk of heart attack, heart failure, ischemic heart disease and arrhythmia. Those who breathe air polluted by coal combustion are more likely to suffer from lung cancer which is the type of cancer currently killing the highest number of people. It is caused by pollutants such as PM2.5 and PM10. They are also responsible for increased risk of cerebrovascular events such as stroke.Even short exposure to particulate matter PM2.5 and PM10 may lead to heart attack. They disrupt heart activity and increase susceptibility to arrhythmia and risk of stroke (especially in those already suffering from diabetes). They may increase tendency for blood clotting, contribute to atherosclerosis and hypertension. Dioxins and aromatic hydrocarbons emitted by power plants are carcinogenic – they may cause stomach, liver, testicles and renal cancer. They also damage immune, reproductive and nervous systems, and are mutagenic. 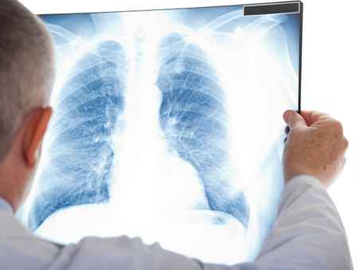 Many heavy metals can cause lung, skin, bladder or renal cancer, cause immunodeficiency and damage the nervous system. Arsenic is one of the most dangerous heavy metals. It causes liver cancer and bronchial carcinoma. The International Agency for Research on Cancer (IARC) classified it as a first category substance carcinogenic to man. Lead is a toxic heavy metal which disrupts the activity of the cardiovascular system, may cause hypertension and anemia. Exposure to polluted air in young age may also lead to allergies and increases the risk of diabetes and obesity. Future moms should avoid polluted air as breathing it may cause lower birth-weight and premature birth. It also increases the risk of preeclampsia. Exposure to toxins such as mercury may lead to irreversible impairment of a child: decrease in intelligence, damage to the fetus’ brain, and even a 5-fold increase in the risk of ADHD. No concentration of mercury in woman’s body is safe for her or the child. Children, the elderly and people suffering from heart and pulmonary diseases are most susceptible to worsening of their condition due to exposure to polluted air. Children exposed to particular matter are in danger of lung damage and asthma, impaired development of respiratory system and development of many serious diseases in adulthood. The loss to Poland’s economy due to health cost of air polluted by the Północ power plant during the years of its operation has been estimated at 362 – 1,107 billion Euro. Health loss will be reflected by the loss of approx. 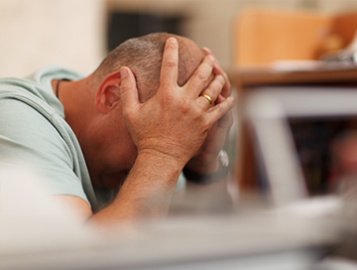 470 000 workdays spent on hospitalization or treatment. Yet the highest price will be paid by the citizens of Pomerania – shorter lifespan, increase occurrence of chronic and lethal diseases, days on sick-leave and in hospital. According to health experts air pollution caused by the Północ power plant could cause 469 premature deaths and over 5000 lost years of life. They also estimated that almost 200 adults and over 200 children could suffer from chronic bronchitis due to exposure to polluted air. The investor claims that air pollution from the Północ power plant will have no effect on human health. The authors of the Environmental Impact Assessment Report do not inform the citizens about the negative impact of power plants on health. Instead they only reassure that the levels of emissions will be within the legal norm. The experts from HEAL who study the impact of pollution on human health warn: the concentrations of pollutants permitted by law for the protection of human health and crops are by no means safe. It has been confirmed by the WHO report ‘Review of evidence on health aspects of air pollution’ published in 2013. According to the current scientific knowledge based on research from all over the world, including Poland, there is no safe concentration of PM10, PM2.5 and ozone. Meanwhile, the EIA Report underestimates the concentrations of PM2.5 emitted by the Północ power plant as much as 20-fold! Independent experts warn: contrary to the investor’s assurances health impact of the Północ power plant is going to be devastating. Building a coal-fired power plant is an irrevocable decision which will set the course of development for the entire region for decades. It will completely change the agricultural character of the Kociewie region and open it to heavy industry. Operating for at least 35 years, the Północ power plant will make Kociewie dependent on coal and hinder development of clean, renewable energy. It also means an end to eco-tourism and organic farming. Local citizens will have to put up with pollution, health loss, high energy bills and constant risk of blackout. 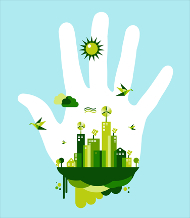 If not for the power plant, they could leave in a region leading in sustainable development, offering high living standards without damaging the environment. The Północ power plant will not provide Pomerania with cheap energy. The Chairman of the PEP group (Elektrownia Północ’s owner) admitted in an interview that with current energy prices the project is unprofitable. Only a significant increase in energy prices would make it workable. In other words, the citizens of Pomerania would be closing the gaps in the investor’s budget with their own energy bills. Alternatively, communities which invest in renewable sources if energy can save up to 25% in energy bills. The choice is ours to make. Each year Elektrownia Północ is going to produce 78 000 tons of slag, 247 000 tons of gypsum and 687 000 tons of ash. In theory these byproducts of coal combustion could be reused in industry but only if someone buys them. If there is no demand, instead of leaving the power plant, they will be stored in stockpiles. The company has prepared itself for such a scenario: it owned approx. 300 ha of land while main buildings of the power plant would cover only 85 ha. Fetor might be another problem. Emissions from the power plant, engine-generators, locomotives and motor vehicle exhaust gases as well as ammonia will be smelled in the area. Kociewie and Żuławy put their money on tourism and agriculture. Many tourist routs have been created in recent years and more people come to these regions to enjoy their cultural heritage and visit medieval castles. 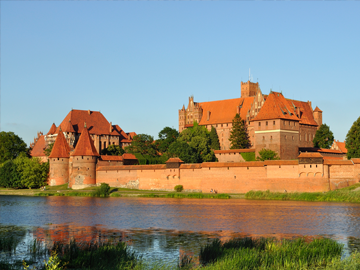 The famous Teutonic Castle in Malbork, a UNESCO World Heritage Site, is undoubtedly one of the region’s highlights. Kociewe is also a perfect holiday destination for every fan of canoeing, cycling and cross country skiing. Kociewie and Żuławy are also famous for their fertile land and agriculture. Many families whose income comes from farming would now have to live in the shadow of the Północ power plant. Construction of the power plant would put precious historic monuments under threat and mean the end of organic farming in the region. Will tourist still come here to admire industrial landscape and breath in polluted air? How can 300 jobs in Elektrownia Północ compensate for economic losses caused by this facility? The investor states that approximately 300 people will find jobs in the power plant. On the other hand, health experts estimate that air pollution could kill approx. 469 people and cause the loss of a tot al of even 5000 years of living and 470 000 workdays. The financial costs of health loss stemming from the pollution caused by the power plant during its 35 years of operation have been estimated at 363 – 1,107 billion Euro. The costs for farming and tourism remains unknown, but it is certain that they will be paid by the local community. The investor promises that 2 500 jobs will be created during the construction of the power plant. He failed to mentioned, though, that the power plant will be built by foreign contractors and that the jobs will be available for no more than 2 years. Later approx. 300 people could work in this facility and they will most probably be experienced specialists from outside the region. The jobs left for the locals will probably be low-paid and consist of parking or food outlets service. Cooling is the greatest weakness of coal and nuclear power plants. Coal-fired facilities use water from nearby rivers for cooling. During hot weather and heat waves water levels drop and the water itself is too hot to effectively cool down power plants which may even cause their shutdown. As a result of changing climate, heat waves are becoming more common in Poland and the risk of incidents and electricity shortage greatly increases. Such crisis occurred in August 2015 when water level in the Vistula river hit record low – in Warsaw it was only 46 cm, near Tczew – 243 cm deep. Paradoxically, it is coal combustion which causes climate change in the first place. This way our only chance to prevent electricity shortages as well as dangerous heat waves is climate protection through coal phase-out and development of renewable energy. Several hundred vehicles, including lorries, would leave and enter the Północ power plant each day. Over 2 million tons of building materials will have to be transported to the power plant which means increased traffic and several dozens of trucks on the local streets each day, even 10 trucks per hour. When the constructions is completed, the traffic will not decrease much – approx. 155 vehicles, including buses and trucks will be driven to and from the power plant. Such number of vehicles means that the local traffic will double bringing with it noise, exhausts fumes, destruction of roads and increased risk of road accidents. The equipment used for construction of the power plant will cause noise but the power plant will not work silently either. Heavy traffic of vehicles such as lorries, buses and trains will become another source of noise (it is estimated that a maximum of 22 trains will enter and/or leave the power plant per 24 hours). The local citizens will have to choose between noise and crossing the landscape with hundred meters of acoustic barriers. According to WHO, 7 out of 10 most heavily polluted cities of the continent are located in Poland. It has been estimated that air pollution in Poland causes over 45 000 premature deaths annually. According to the Health and Environment Alliance’s Report ‘Unpaid Health Bill – How coal power plants make us sick’, each year air pollution in Poland which stems from coal combustion in power plants causes 3500 premature deaths, 1600 cases of chronic bronchitis and results in 800 000 lost workdays. The report quantifies the annual public health costs of polluted air up to 8,2 billion Euro. Poland might be one of the most polluted countries in Europe, yet Pomerania remains among the cleanest regions of the country and big cities on the coast such as Gdańsk and Gdynia are not plagued by smog. Building a coal fired power plant in one of the cleanest regions of the country will undoubtedly impact its air quality and wellbeing of its citizens. Funfact: Lichens are organisms extremely sensitive to air pollution. Scientists have found out that in the region where the Północ power plant is planned still live lichen species which tolerate only the cleanest air and are usually found only in the forest of north-eastern Poland. The Północ power plant will emit tons of toxic heavy metals which are extremely dangerous to human health, often carcinogenic. Emissions of the most toxic heavy metals such as mercury, lead, arsenic, chromium, nickel and cadmium were drastically underrated by the investor – in fact it will be 70-150 times higher than it was stated in the EIA Report. Particular matter (PM 2.5 and PM10) is created as a result of coal combustion, it forms smog. This microscopic particles enter our lungs and blood vessels, which may lead to serious respiratory and heart diseases. According to WHO they are carcinogenic. They travel hundreds of km. It is estimated that as much as 380 tons of PM will be emitted annually by Elektrownia Północ. The emission of PM 2.5 was underrated by the investor 20 times. Ozone crates the so-called summer smog. It may cause respiratory diseases, irritate eyes and throat. It destroys historical monuments and impacts agriculture. Plants exposed to ozone may lose leaves, their immunity to pathogens and resilience to water shortage decreases. Nitrogene and sulphur oxides react with water and create acid rains, which are harmful to plants and historical monuments. They impact human health. Emissions from coal power plants can travel long distances, as long as 1000 km. Emissions from the Północ power plant will impact other countries, especially south-west from Poland, but Kaliningrad is also threatened. The investor fails to report such transboundary impacts and shows only the power plant’s emission few km from the facility. The EIA Report is flawed with manifest errors, the data presented are based on obsolete mathematical models. If the emission levels given in the Report were to be taken seriously it would mean that the Północ power plant would actually clear the Pomerania’s air! The investor drastically underestimated the amount of air pollutants emitted from the Północ power plant. In fact, emissions of dangerous particular matter PM 2.5 will be 20 times higher and emissions of the most toxic heavy metals such as mercury, lead, arsenic, chromium, nickel and cadmium will be 70-150 times higher than it was stated in the EIA Report. Basing on such data it is impossible to assess the power plant’s real impact on humans and the environment, let alone proving that the impact will not be negative. Independent experts warn that this impact will be gigantic. Kociewie – the region of Pomerania where the Północ power plant is planned – is famous for its agriculture, exceptionally fertile soil and high quality crops grown in unpolluted environment. Many local families draw their income from farming and eco-tourism. Pollution from the power plant is likely to have highly negative impact on these values affecting also the neighbouring regions of Żuławy Wiślane and Masuria. The soils that belong to I, II and III class of quality are legally protected in Poland and cannot be used for purposes other than agriculture unless a permit is issued by the Ministry of Agriculture. The Północ power plant is to be constructed on soils which were artificially downgraded from II and III class. This way the law was circumvented and 156,3 ha of precious soils could be lost. As Elektrownia Północ will become a major polluting factor its operation would jeopardize agriculture in the region of Kociewie and Pomerania. A region famous for its agriculture is especially sensitive to changes in water conditions. Local agriculture and income of many farmers depend on water. According to hydrologists, building the Północ power plant will have a significant negative impact on waters, including water pollution and reduction of the level of the underground water basins caused by drainage and depression cone. Global warming poses direct threat to global agriculture and may cause unprecedented food crisis thus curbing climate change is in best interest of not only farmers. Warmer climate means extreme weather, long periods of droughts and water shortage as well as good conditions for pathogens and pests, including alien species. We are already experiencing this impacts in Poland. 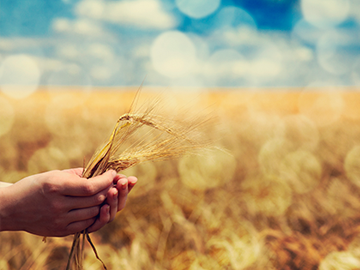 Gale-force winds, hailstorms, heavy rains mixed with heatwaves destroy crops every year. It is crucial for our farming that we protect climate and phase out fossil fuels, such as coal, which are the main source of greenhouse gases that are changing it. That means we must soon answer a question: what is best for local farmers - building a coal power plant or sustainable development based on renewables and climate protection. Wildlife is one of the region’s most underestimated treasures. The most precious habitats and species were designate for the Natura 2000 ecological network which protects them without excluding human activities that agree with the principles of sustainable development. There are also several wildlife reserves, areas of protected landscape and nature monuments. All of them would be affected by Elektrownia Północ. Protects fragments of wet coniferous forests and transitional/low bogs with dystrophic pons which are habitat of a strictly protected fish - lake minnow (Eupallasella percnurus) - listed in the Polish Red Book of Endangered Species. Peatbogs an ponds harbour an important population of lake minnow. Protected fire bellied toads, cranes, green sandpipers and black terns also find refuge here. Surprisingly for lowland Pomerania, this valley is actually of sub-mountainous character. Several protected fish species live in its clean waters, and riparian forests are frequented by beavers, otters and kingfishers. This site protects 90-160 years old hornbeam-oak forests (Stellario-Carpinetum). Las Mątawski is a unique example of a riparian forest, largest and best preserved in the Vistula valley. It protects 150-180 year old woods with rare plants such as February daphne and twayblade, as well as 26 monument trees. It is also held in high regard by birdwatchers for its population of white-tailed eagles and black kites. This reserve was designated to protect xerothermic grasslands. Especially picturesque in early summer when most plants are in blossom and lure many butterfly species. There are around 93 monuments of local, national and international import that might be impacted by the Północ power plant. Taking into consideration the fact that pollution from a coal power plant may travel hundred kilometers, monuments of Toruń and Gdańsk may well be in the Północ’s range of impact. The Castle of the Teutonic Order in Malbork (Malbork Castle) is the largest gothic castle in the world, the largest castle by surface area and the largest brick building ever created by humans. It is also the most complete and elaborate example of the Gothic brick castle complex in the characteristic and unique style of the Teutonic Order. According to the UNESCO description, the 13th-century fortified monastery belonging to the Teutonic Order is a particularly fine example of a medieval brick castle. After having fallen into decay, it was meticulously restored in the 19th and early 20th centuries. Many of the conservation techniques now accepted as standard were evolved here. Following severe damage in the Second World War it was once again restored, using the detailed documentation prepared by earlier conservators. – it is “an outstanding example of a type of building, architectural, or technological ensemble or landscape which illustrates a significant stage in human history. The Cistercian abbey in Pelplin testifies to the more than 600-year presence of the Cistercians in Poland. The cathedral is one of the largest Gothic churches in Poland and the second-largest church after the Basilica of the Assumption of the Blessed Virgin Mary in Gdańsk . It has the largest baroque main altar in this part of Europe. The abbey was founded in 1247 by the last Pomeranian duke, Mściwoj II. Since 1824 it has been the seat of the local Bishop. It took 300 years to build the 84 m long church, it was completed in 1557. The building has four richly ornamented gables and ornate portals. Buildings formerly used for monasteries adjoin the church and surround a quadrangular inner garden called the viridarium. Many elements of the interior have survived in good condition: murals, paintings, altars, sculptures and furniture. The post-Cistercian temple and its monastery buildings are a gem in Pelpin that create a wonderful setting for the church. The town of Pelplin has been listed in the Heritage Register as an urban landscape complex “unique in regional scale”. As the Environmental Impact Report states: “The Pelplin region represents a great treasure of Poland’s humanistic thought, and the town of Pelplin and its citizens, together with a strong clerical center, are an undisputed symbol of great humanistic and cultural values of our society.” Among the resources of the Diocese Museum can be found the only copy of a Gutenberg Bible in Poland. Elektrownia Północ will be situated 4 km from Pelplin. Built at the end of the 13th century, the brick Gothic castle in Gniew was the strongest fortress on the left bank of the Vistula River belonging to the Teutonic Knights. Over the years, the castle has been reconstructed many times. Unfortunately, the most representative towers – the sewage tower (“toilet tower”) and the high tower on the east – are lost to history. The fortress was a seat of the Grand Commanders of the Teutonic Knights, and later (1466-1722) of the starosts (Polish officials). Usually, the position of a starosta was occupied by representatives of well-known families including the Radziwiłłowie, Zamojscy and Lubomirscy. Since 1667, the castle was the residence of Jan Sobieski – the future king of Poland. The next person to administer the building was his wife, Maria Kazimiera. On the 19th of May 2009, the castle was listed on the Heritage Register of the Pomorskie Voivodeship. Distance from the Północ power plant: approx. 17 km. A castle of the Teutonic Order, the bishop’s castle of the Bishops of Pomerania was built of stones and bricks in the 14th century. Construction of the cathedral began in 1325. The monumental historic building, like many other historic structures in this region, sets another local and world record. The dansker, a characteristic element of the castle, is the largest sewer facility (“toilet tower”) found in the former Teutonic state. t is connected with the castle’s main building with the world’s longest gallery which rests on five arcades several meters high. The complex was reconstructed and devastated many times, but the vast majority of the existing objects are from the Middle Ages.Throughout the ages, the object has had many functions, often not related to building’s original purpose (for instance, it was the main office for district heads (starost), a granary, barracks, even a school for youth from the Hitlerjungend. It is a first-class heritage site listed in the Heritage Register of Pomorskie Voivodeship. Distance from the Północ power plant: approx. 30 km. The hydrotechnical complex “Śluza Międzyłęska” was built in 1857, and then expanded in 1884 and 1914. This is not only a valuable and unique historic monument, but it is also still operational. The lock feeds water from the Vistula River to the Walichowska Valley polder drainage-irrigation system and prevents the Vistula’s floodwaters from reaching the Valley. The it is a strong candidate to be listed in the Pomorskie Voivodeship’s Historic Register. It is listed on the record kept by the monument conservator and its documentation is in the form of the Biała Karta (sites and monuments record card). A pumping station that will provide water from the Vistula River to the Północ power plant’s cooling system will be situated by the Międzyłęska lock. Gniew Landscape Protection Area includes a part of the Wierzyca Valley and the Wierzyca River’s outlet to the Vistula River, as well as fragments of corrugated moraine plateau with compact, highly transformed forest complexes. High voltage power lines, scheduled to be installed independently of the power plant, will run through the Gniew Landscape Protection Area and will cut through the Wierzyca Valley. Kwidzyn Valley Landscape Protection Area includes a part of Żuławy Kwidzyńskie in the area of the Lower Vistula Valley. It includes a part of the Vistula channel along with a narrow strip of the valley bottom, numerous waterways and diverse wetland vegetation. Landscape Protection Area of Biała Góra (the White Mountain) covers the interfluve of the Vistula and Nogat rivers, as well as the areas located between Nogat and the forest growing on the slope of the Vistula Valley. Bulrush and rush can be found on the banks of the rivers, creating favorable conditions for water and marsh birds. Nogat River Landscape Protected Area includes the Nogat River inter-embankment zone and the areas of the villages of Kmiecin, Solnica, Jazowa, Rakowo and Wierciny, where elements associated with the former Żuławian settlement concentrate. The area is dominated by agricultural land which are breeding grounds for water and marsh birds. This area has not been described in the EIA Report. Middle Żuławy Landscape Protection Area includes part of the Vistula River channel, along with a narrow strip of the valley’s bottom, on which there is an inter-embankment zone for the floodplain and preserved fragments of riparian forests and thickets. Directly adjacent to the points of water intake and wastewater discharge the Vistula River. substantial and irreversible transformation of the landscape around the plant due to exclusion of the surrounding grounds from agricultural production and their transformation into industrial areas. According to the authors of the Report the best solution for the region in terms of landscape protection would be abandoning the plan to build a coal power plant there.